If we look carefully at post Meiji Restoration (1868) accounts of Sekiguchi Yagoemon Ujinari’s Sekiguchi Shinshin-ryu, for example in the Bugei Ryu Ha Dai Jiten (BRHDJ), etc., we can see that the lineages provided are somewhat suspect. In those accounts, after the Battle of Okehazama (in 1560), members of the Sekiguchi clan, who were members of the Lord’s Guard and of the Council of Elders (as chief retainers, and castle lords) for the Imagawa clan, either died on the field of battle or fell into ruin and went into hiding, and many of the Imagawa generals disappeared. It has been said that within the various branches of Sekiguchi-ryu, the so-called founderof the jujutsu branch that was so famous after the Meiji Restoration, Sekiguchi Yarokuemon Ujimune [Kishu (Wakayama) Tokugawa], was also responsible for creating the Iai portion of the curriculum when founding Sekiguchi-ryu. However, there are many points that are vague and unclear in these biographies. Even though it is uncertain whether Sekiguchi Gyobu Shoho Ujihiro even had a son, if his son was Geki Ujiyuki, then the family line continuing with Tsukiyama Gozen’s son, Nobuyasu, and his wife, Princess Kano, as it is written in the BRHDJ, is implausible. This mistake is further compounded by the fact that Nobuyasu’s wife was actually Princess Toku, and Princess Kano (also known as Princess Kame) was Tsukiyama Gozen’s daughter, and Nobuyasu’s sister. She married Okudaira Nobumasa. There are also many problems with subsequent descriptions, as the document cannot be considered very reliable if looked at with the common sense of a historian (the BRHDJ has as many mistakes as are found in some rural genealogies that were written without much serious effort). Doing a simple comparison of dates shows that the time period when Yarokuemon Ujimune and Yagouemon Ujinari (who is recorded as the mysterious Ujimune’s nephew) are alive, do not add up. Consequently, I feel that referring to the connection to the Tokugawa family that was formed through the historically famous Tsukiyama Gozen should be disregarded. It is more useful to emphasize the connection that was formed between Tokugawa Ieyasu and Ujinari, as shown by Sekiguchi Shinshin-ryu’s sacred object being Mt. Kunou, the incarnation of Mt. Atago. What we know for sure is that the founder of Sekiguchi Shinshin-ryu temporarily moved from Suruga to Mikawa, and when he returned to Suruga he founded the style. Therefore, Sekiguchi Shinshin-ryu began in Suruga, and seems to have spread from there to Edo, and then to the whole country. Sekiguchi Ujihiro’s daughter, Tsukiyama Gozen, was Tokugawa Ieyasu’s first wife. It was from the time after the fall of the Imagawa family that Sekiguchi Shinshin-ryu was born, due to the fact that Tsukiyama’s daughter, Princess Kano was a member of the Tokugawa family. In addition to this, Tsukiyama’s mother was a member of the Ii clan and in their protective custody, so Shinshin-ryu spread to the Ii family as well. (Note) As an aside, it is unclear whether Sekiguchi Geki was the same person as the one in Musashi province around the Tensho era (1573-1592)? 3. Even assuming that the Kumamoto Sekiguchi-ryu Iai sword art is the same, is Edo Shinshin Sekiguchi-ryu older? Is Kishu Sekiguchi-ryu older? These are the subjects to be dealt with, but it seems to me that Sekiguchi-ryu Iai was founded in Suruga first, and that the jujutsu portion came afterwards and completed the Kishu Tokugawa Sekiguchi-ryu. We need to use reliable documents, such as the “Aristocratic Lineage”, the “Kanei Era Samurai Families’ Genealogies”, and the “Imagawa Genealogy”, to examine the role played by the Sekiguchi family. Mikawa Ashikaga Nagauji’s grandson, through his second son, was Kuniuji, and he was the founder of the Imagawa line. Kuniuji’s second son was Sekiguchi Jirou Tsuneuji, but his line ended with him. However, the fifth son, Sekiguchi Gorou Tsunekuni’s line did continue on, and this became the main line of the Sekiguchi family. The seventh head of the family, and Lord of Hanasaki Castle, was Sekiguchi Ecchunokami (Gyobu Daiho) Ujiroku. In 1560, he died during the fighting which occurred after Oda Nobunaga’s surprise attack at the battle of Okehazama. 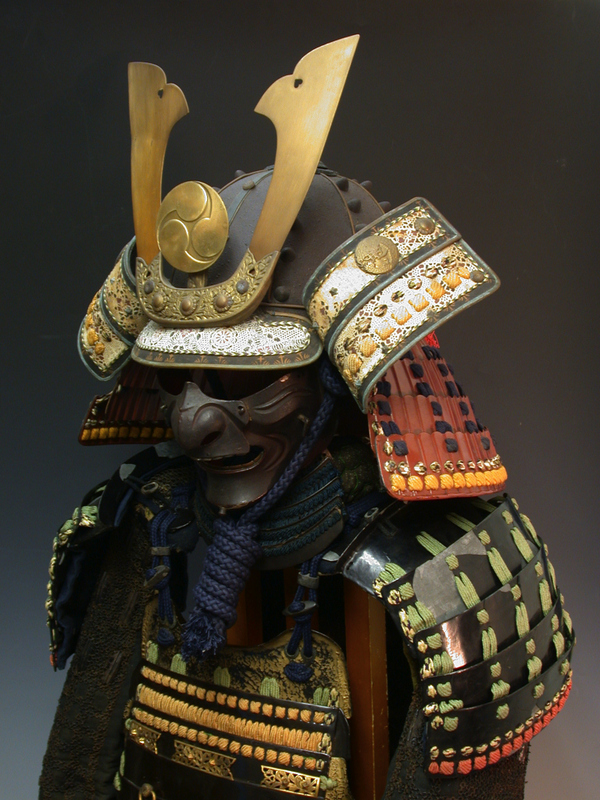 At the time he was a member of Imagawa Yoshimoto’s Lord’s Guard (as a member of the Council of Elders). At the battle of Okehazama there were around 3 other people going by the name of Sekiguchi. In a separate Imagawa samurai family line, a member of the Sena clan, Sekiguchi Gyobu Shoho Ujihiro, was Imagawa Yoshimoto’s brother-in-law. As recorded in an entry in “Tennouji Yasoutatsu’s Tea Ceremony Diary” (April, 1557), it appears that the commander named Sekiguchi Gyobu was the same person as Ujihiro. Ujihiro was not at the battle of Okehazama, but it appears that he was in the capital, waiting for Yoshimoto, and eventually committed suicide in 1562. In the entry for Sekiguchi-ryu, the BRHDJ asks whether Ujihiro’s son, Geki Ujiyuki, really existed. He is doubted to have existed because it is not recorded in any genealogy that Tsukiyama Gozen had siblings. However, even if he did exist, he would be connected with the Kishu Sekiguchi-ryu, while Sekiguchi Yagoemon Ujinari’s Shinshin-ryu could have been connected with Ecchunokami Ujiroku’s main line. If that’s the case, and we use the Shinshin-ryu scrolls to count backwards, then he would have been a boy of 15 or 16 at the time of the Battle of Okehazama. To expand on this a little further, according to Sekiguchi Yagoemon Ujinari’s Shinshin-ryu scrolls, Ujinari was the first Soke of the ryu, Hattori Mitsuyasu was the second, and the third was an Imperial Soldier named Yamada Saburo. 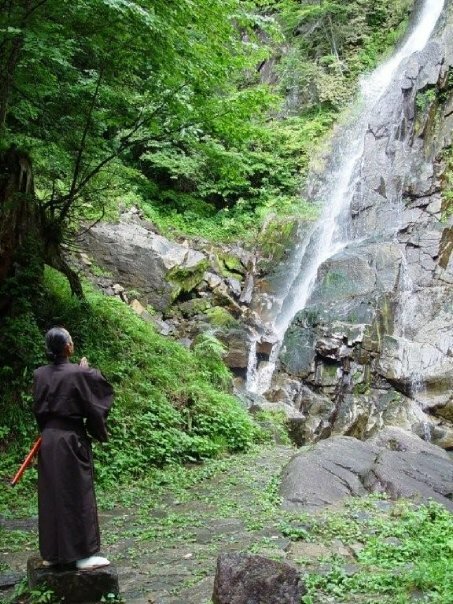 On April 2, 1649, Saburo initiated Yoshida Hachiro into the secrets of the ryu. During the latter half of the Edo period (1603-1867), people, on average, received Menkyo Kaiden when they were over the age of 30. Therefore, 3 generations before Yamada Saburo would mean that Ujinari was born around 100 years before, in 1551. In 1560, when the Battle of Okehazama takes place, he would have been 9 years old, but if he was born a little earlier, in the 1540s for example, then his participation in the Battle of Okehazama becomes possible. Because of this, it is entirely conceivable that he was a member of the family line of Sekiguchi Ecchunokami Ujiroku (an Imagawa retainer and member of the Council of Elders), or even a member of one of the other Sekiguchi family lines. According to the BRHDJ, Sekiguchi Geki Ujiyuki, who served Princess Kano (she married Okudaira Sadamasa at 17 years of age. Okudaira died defending Nagashino Castle, during the Battle of Nagashino in 1575), and Yagouemon Ujinari were around the same age, thus making it unlikely that one was the other’s grandson. Matsudaira-Izuminokami is a family line within the Ogyu-Matsudaira family, as recorded in the Matsudaira genealogy dating from the end of the Muromachi period (1336-1573). Tokugawa Ieyasu’s lineage shows that he was a descendant of Nagachika, who was Chikatada’s second son. Chikatada’s eldest son was Norimoto, and he was the founder of the Ogyu-Matsudaira line. The daughter of Ieyasu’s grandfather, Kiyoyasu, married into the Ogyu-Matsudaira family, so there was always a strong relationship between the two. Shinshin-ryu was popular elsewhere until the end of the Tokugawa period, but it is unclear as to if and when a member of the Izuminokami family created Shinshin Sekiguchi-ryu Iai. It is also unclear when instructors for the Izuminokami started teaching all of the Izuminokami vassals Yagyu Jyubei Mitsuyoshi’s line of Shinkage-ryu, Yoyu Kenjutsu, or Kokki-ryu. However, the oldest family among the Izuminokami retainers was the Imai clan. The next oldest was the Suzuki clan, of which my ancestor was a member, and the secret teachings of Shinshin-ryu were transmitted to him at the end of the Edo period, just like those of the Yagyu-ryu. Thus, it is thought that for the Matsudaira-Izuminokami, Shinshin-ryu Iai was considered just as important as Yagyu-ryu. Izuminokami family members even had powerful and influential positions within the Tokugawa Shogunate, as hereditary members of the Shogun's Council of Elders and the Chief Ministry among others, and it is known that since the Momoyama period (1568-1603), Shinshin-ryu was already recognized as a nobleman’s kenjutsu. Although Sekiguchi Yagouemon Ujinari was not an instructor to the Shogun, nor to one of the Three Tokugawa Families, his dojo in Edo did serve the Shogunate and was patronized by the vassals of some powerful Daimyo. Since Sekiguchi Yarokuemon Ujimune’s branch of the ryu served the Kishu Tokugawa during the Kanei era (1624-1643), all of Kishu Sekiguchi-ryu’s documents and oral transmissions were able to be announced after the Meiji Restoration, and thus that branch was widely known after the Shogunate fell. After the Tokugawa Shogunate was overthrown, this style was almost lost because the Bishu, Kishu, and Higo domains supported the Imperial Army. 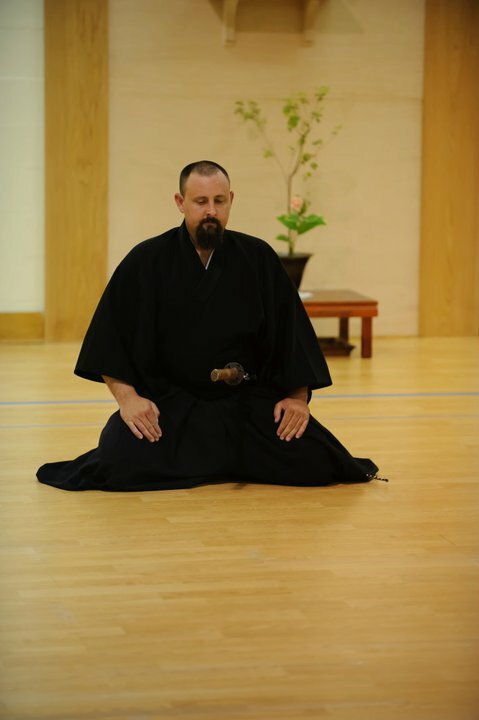 Thus, it is much more important to carry on the sword techniques of Shinshin-ryu, than try to answer all the questions surrounding its founding.